Click HERE to look at the lyrics for the choruses we were learning recently with Mestre Papa-Leguas. To save the document, right click over the link, and choose 'Save link as'. This song is very simple. The chorus (in bold) is the best bit to learn. The verses to this song are not so great however, so I have only shared one. What this song offers, though, is the chance for you to come up with you own verses, following the basic structure of the those shown on the left. Instead of "Sou Capoeira", this song can be sung "Cordão de Ouro olha eu sei que sou"
Continuing our preparation for the Batizado, over these next few weeks we will look to learn the choruses for three famous songs by Mestre Ezequiel. These songs are amazing to learn as a whole, but for the purposes of the event, at least know the chorus. The Youtube video of him singing is a great resource to hear other famous Mestres sing too. The times of each of the songs in the video are in brackets next to the song title. Our master and inspiration, this month leading up to the Batizado we will be focusing on songs he likes to sing in the roda. These are not songs he has written, but are public domain necessities for all Capoeiristas to learn. And not to just learn the chorus, but the whole of the song! CDO Notts members will have received an email on 5th February with an audio file of the songs. was born in 1938 in Ilhéus, Bahia, Brazil. He is the co-founder and head of the international Capoeira organization Cordão de Ouro; which was established in 1967 in São Paulo. 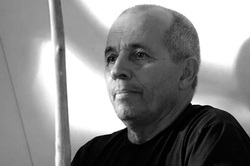 The teacher of many of the world’s most respected Capoeira Masters, Grande-Mestre Suassuna is also renowned for developing the game of Miudinho: a way of playing Capoeira close to your opponent, sometimes in a tight space- a game rich in movement and interaction, playfulness and expression. Group Cordão de Ouro is one of the most famous, respected and popular Capoeira groups in the world, with schools open across the world, from the USA to Israel, Russia to India, Japan to Indonesia and all across western Europe. Click HERE for an interview in English with Mestre Suassuna, where he discusses his life in Capoeira, and the early days of group Cordão de Ouro. Note: 20:32 into the Youtube video is when the song comes in.